The perfect addition to your kitchen. 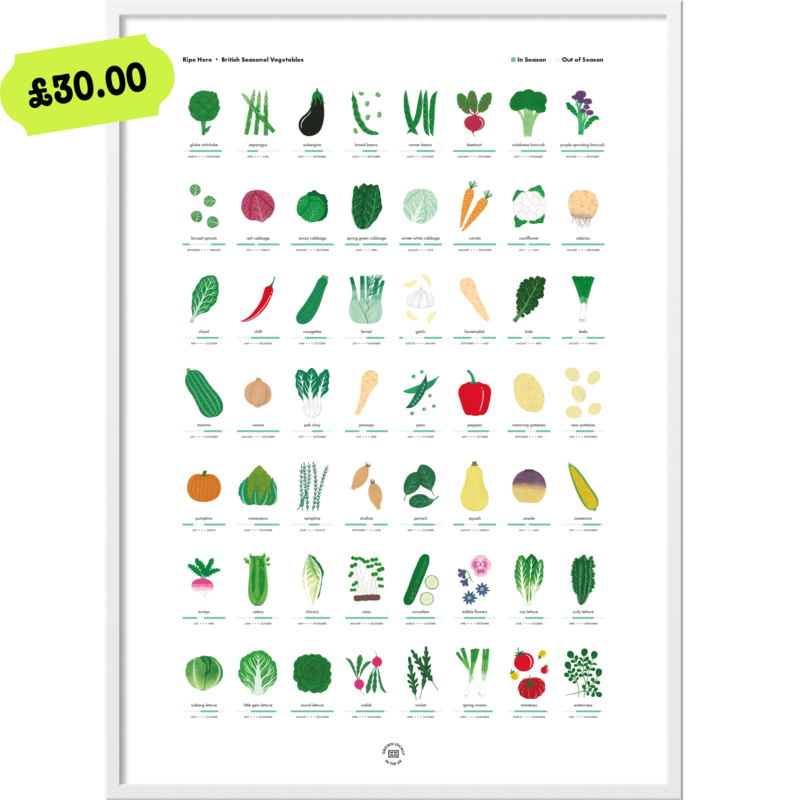 Keep tabs on what is in season with this beautiful illustrated print by Holly Maguire. Printed on A2 (420 x 594 mm) 230gsm archival matte paper with Epson K3 inks. Price excludes shipping. Ripe Here was created to help you easily see which produce is fresh and at its best today. This website was crafted with love by Rather Splendid using Kirby, Bootstrap and Typekit. We believe eating seasonably can help us save both money and the planet!